In order to understand the "righteousness of God," Dr. R.C. 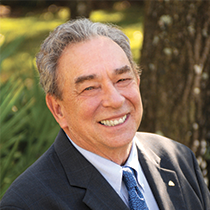 Sproul examines three theological concepts: forensic justification, imputation, and the instrumental cause. Having proved our guilt before God’s throne and our inability to be declared righteous by the works of the Law (Rom. 1:18–3:20), Paul does not leave us without hope. In today’s passage, the apostle speaks of the righteousness by which we may stand before the Lord. The righteousness that justifies us is the “righteousness of God” manifested apart from the works of the Law and received by faith (vv. 21–22a). In order to understand what Paul is talking about here, we will examine three theological concepts. Forensic Justification. Imagine a law court where an accused person stands before a judge. In order for the accused to receive the blessing of freedom, he must be found not guilty. As John Calvin writes, “If an innocent accused person be summoned before the judgment seat of a fair judge, where he will be judged according to his innocence, he is said to be ‘justified’ before the judge” (Institutes 3.11.2). Although in Adam all men are guilty, those who are justified in Christ have obtained a verdict of “not guilty” from God. Imputation is how the Lord justly pronounces this verdict. We will never obey God completely in this life, but He accepts us because we are in Christ. When we trust in Jesus, our sin is imputed (credited) to Him where it was condemned on the cross. Consequently, His perfect righteousness is imputed to us (2 Cor. 5:21). God now sees us as holy, and so He can declare us innocent. However, we still struggle with sin and must go to Jesus for cleansing (1 John 1:8–9). Yet when God considers those who are in Christ, He sees His Son’s perfect obedience on our account and does not hold our sin against us, because He already condemned it on the cross. 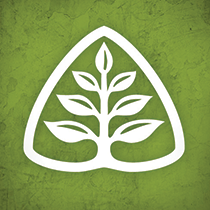 The Instrumental Cause of our justification is faith — alone. Just as a power cord is the instrument we use to access electricity, so too is faith the sole means by which we lay hold of Christ’s righteousness. Our faith is not a good work meriting justification; it is the way God credits the obedience of Jesus to our account. By trusting in Him, we uphold one of the Law’s purposes — to drive us to cast ourselves at the foot of the cross for mercy (Rom. 3:31; Gal. 3:24). According to Dr. R.C. Sproul, the Bible teaches that in our redemption “our record does not change, but our guilt does” (Faith Alone, p. 96). It is impossible for the Lord to forget anything, but when we are justified, He no longer holds our sin against us. If we are in Christ by faith, He no longer sees us as guilty. This does not mean we may sin with impunity, but it does mean that the truly justified will also seek to practice holiness in gratitude for their new status.